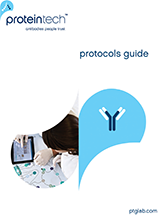 Tag/Control Antibodies – High Quality, Low Price! GAPDH - This enzyme is commonly used as a protein loading control in Western blotting due to it's consistently high expression in most cell types. GAPDH participates in several cellular events such as glycolysis, DNA repair and apoptosis. Beta Actin - Actins provide structural integrity and mediate contraction, motility and trafficking in cells. Beta-actin is a non-muscle, cytoskeletal actin isoform, expressed in a uniform manner in most cell types, making it a good internal control in Western blotting experiments. This promotion applies to thousands of high-quality antibodies. 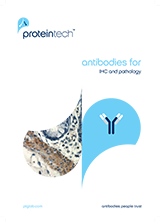 Click here to browse all applicable antibodies and begin saving today! Note: This offer is not valid in conjunction with contract discounts or any other special pricing. Void where prohibited. 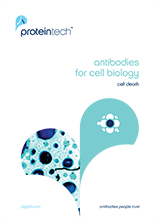 Please note that this promotion only applies to Proteintech antibodies. Contact your local Cedarlane sales representative if you have any questions.